Hi friends, we got an another big loot offer from woohoo app. 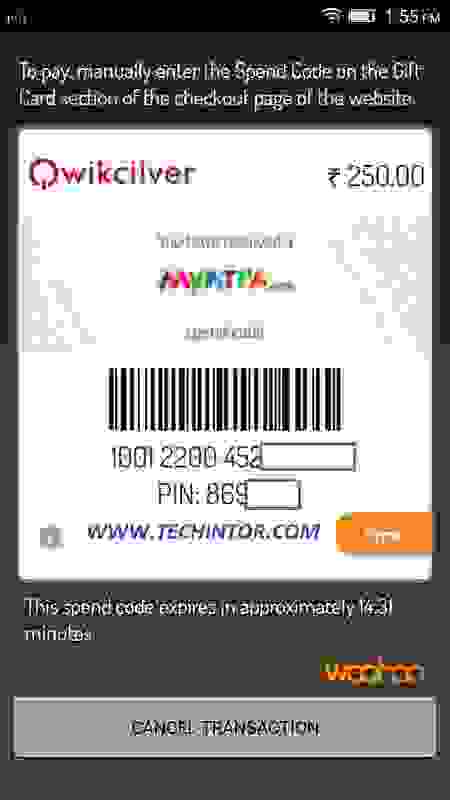 You will get 250 Rs free coupon for Myntra by downloading Woohoo app. It is very easy and limited offer. So friends, just read the below steps and get 250 rs gift coupon for myntra from woohoo app. You can use this free 250 rs myntra coupon on any purchase. No minimum or any other conditions required. So Hurry UP!!! 3. then enter your address and other basic information. 4. Now go to Woohoo rewards tab, there now you can see that, you got 250 rs woohoo credits. 9. At payment section select gift card option. 11. you are done. you can see that 250 Rs gift card applied on your product . Means if you bought products with price 250 or less than 250 , you don’t need to pay anything ; you will get the product for free. If you bought any product with price more than 250 you got 250 rs discount by adding this gift voucher. NOTE- THIS OFFER IS CLOSED NOW. I hope that you got the rewards . Enjoy free shopping with woohoo app rewards.